Kids enjoy birthdays and they feel excited with the decoration. 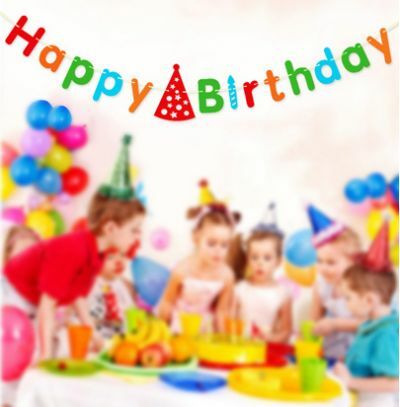 Happy Birthday Banner shows much importance on birthdays and it brightens the day of your kid.This banner brightens the party and makes every one enjoy the party. It consists of Happy Birthday Letters, cap and Thread. This Happy Birthday Letter Banner Available Only in Vijayawada. Sameday delivery is possible.